Check out the latest customer kudos to our Service Department! Schedule Service at our Service Department today or check out the rest of our customer testimonials below! It was time to upgrade my old CRV and the team at Middletown Honda were incredibly nice and helpful. Josh, Jami, and Sean answered all my questions and got me in my new, fantastic CRV. Thanks! I just went through the process of trading in my present lease (CRV) and picking up a new lease (HRV) and the people at the dealership could not be any more professional! From Katia to Sean to Jami and ending with Stephanie any requests or questions were handled with extreme care. 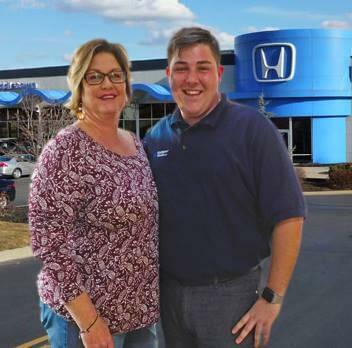 I feel very fortunate that I have a Honda dealership such as Middletown Honda close to my home with people working there that care! I highly recommend this dealership to anyone looking to buy or lease a Honda vehicle! James C.
Was a tremendous experience! Art helped me with everything I needed. I will definitely be using only this dealership from now on! Going to recommend this place to all my family and friends! Leased my CRV and Odyssey in March of this year. Ryan and Jami were more than helpful in walking us through the the entire process. No question went unanswered. Jami reviewed every aspect of the cars' latest features and demonstrated each one. Great experience. Marlon from Middletown Honda was wonderful. As a letter of fact the whole staff went above and beyond for us. We would definitely purchase our next car from then again! Art was extremely professional and made the process so smooth. He answered all my questions. I definitely recommend him and Middletown Honda to everyone when looking to purchase a vehicle. Purchased a used Hyundai with the help of Chris Gross - couldn't have asked for an easier car buying experience. Everyone I talked to was friendly and eager to help! 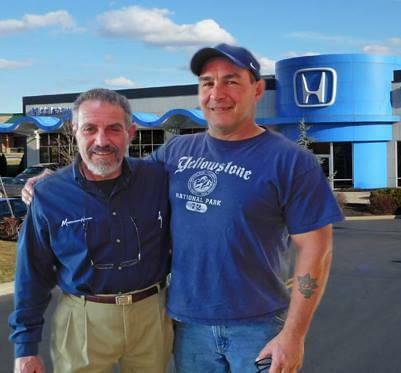 I had a great experience at Honda Middletown, NY. Sean went above and beyond to get me a great leasing deal and I will never go to any other dealer after that. Excellent experience. Sean helped a lot and and went above and beyond to get me a great deal. Thank you so much.